Yes! 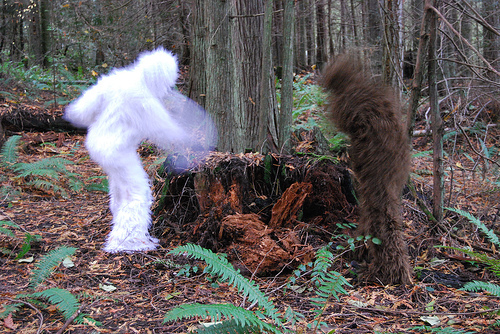 Let's talk some more about sasquatch. Lizette Greco and her awesomely creative family had, I'm 99.9% sure, the BEST Halloween costumes this year. You guessed it: sasquatch! Spy more sasquatch snaps in this flickr set. 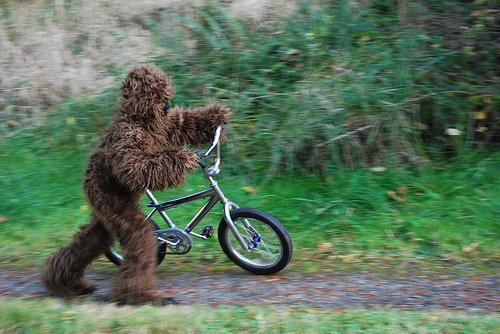 Even bigfoot needs to push his bike up the hill sometimes. Now I don't feel like such a weakling.